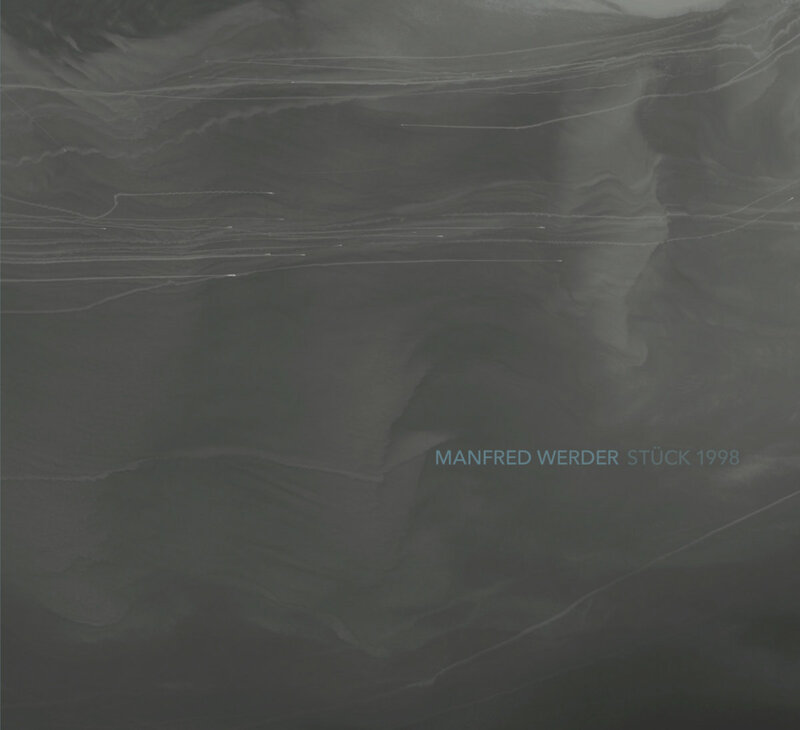 Includes unlimited streaming of Manfred Werder: Stück 1998 via the free Bandcamp app, plus high-quality download in MP3, FLAC and more. Welcome to part forty-four of a four-thousand-page journey. It may be completed in your lifetime; it may not. It certainly won’t be completed here. 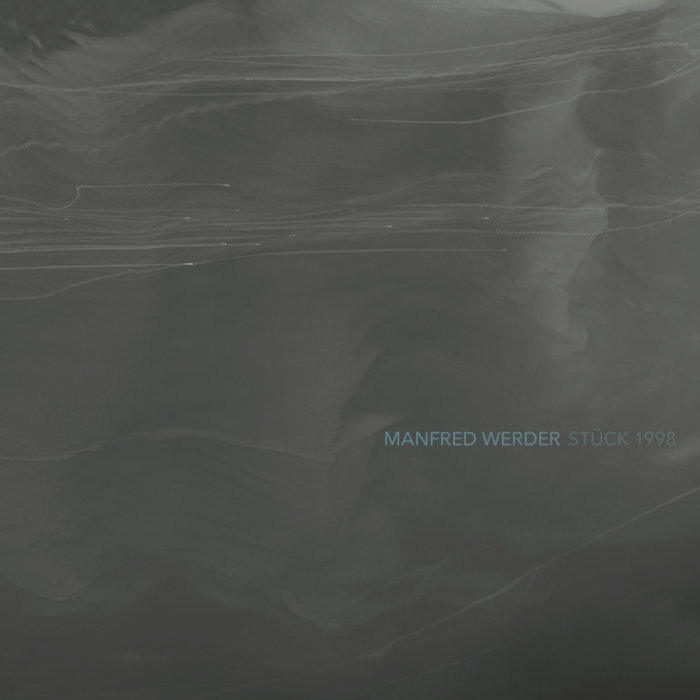 Just as silence surrounds the notes that you will hear on this recording, it too surrounds Manfred Werder’s stück 1998 as a whole. Since 1999, Werder has issued sequential handfuls of pages of this massive work to musicians. stück 1998 has unfolded contiguously and without fixed instrumentation: organ pipes and a Casio keyboard played page 533 on a concert in London; six months later, a bass flute and viola realized pages 534 and 535 in Aarau. (Thus, the complete title of this release is stück 1998, seiten 676 bis 683.) Over the past sixteen years, sections of stück 1998 have appeared in cities from Zurich to Chicago, Cologne to Buenos Aires, New York to Seoul. When performed continuously, all four thousand pages of stück 1998 would last 533 hours and 20 minutes. This album captures guitarist Cristián Alvear’s realization of pages 676 through 683 of Werder’s epic, recorded in Santiago in April 2014 (as of then, the forty-fourth performance of an excerpt of stück 1998). In April 2015, Werder distributed page 800. At the current rate, stück 1998 might be fully realized by 2090.
stück 1998 consists of 160,000 actions, or time units. A unit lasts twelve seconds, and is equally divided between pitch and silence. Each page of Werder’s score consists of a 5x8 grid of note names. The performer proceeds through the grid, playing a note for six seconds and then resting for six seconds. If a note is outside the instrument’s range, then it is left silent. For the performer, these silences are anticipated; for the listener they are constantly shifting in length, leaving one in a state of restless expectation. “to itself, clear and objective. simple,” marks Werder in his performance indications. He calls the work’s structure “absolute but empty,” suggesting that the arbitrary precision of his framework can produce forceful results. Werder’s conceptual rigor—and his attempt to push his structures, and musicians, to their limits—harkens back to the foundational experimentalism of Fluxus. He prefers “actualizations” to “performances”; whereas the latter implies an artistic interpretation of a composer’s creative vision, the former suggests a participant attempting to reckon with a set of accidental materials. This is a continuation, to an extent, of the radical agenda of Wandelweiser—the loose grouping of composers to which Werder belongs, which he joined in the same year he began work on stück 1998. If Wandelweiser takes after John Cage’s embrace of silence, and also the disconnect that Cage’s indeterminacy created between the composer and the composition, then stück 1998 leads these explorations to what might be a natural conclusion. What better way to hear sound as purely sound—to distance it entirely from its creator—than hundreds of hours of music guided by entirely arbitrary conventions? For Werder, capricious rigidity might also act as an oblique commentary on the false fastidiousness of classical music. Describing his ongoing work “for one or a few performers,” which consists simply of the instructions “a lot of time. / a few sounds. / for itself simple,” Werder told James Saunders that “I think this score comments on ‘precision’ and its omnipresent impact, especially in occidental culture, and hopefully generates some experiences towards an other ‘economy of precision.’” The occasionally-distributed pages of stück 1998 are less subsets of a grand artistic statement—this is not a world-historical genius issuing his 21st century “Ring” cycle from on high—than etudes in how to better experience the sounding of the world. “They play very quietly, with huge silences,” Christian Wolff once said of Wandelweiser. If one chooses an instrument with a range that falls outside the notes that are written, a performance of several pages of stück 1998 might be realized without any pitches played at all. Here, Alvear has limited his rendition to a two-octave range, allowing chasms of stillness to encase the sounding notes. Note that this recording is captured in a single take, without edits, and the dynamic range hovers on the edge of silence. Perhaps nearly as remarkable as the rendering of the score is the absence of ambient noise, aside from Alvear’s occasional breath. Nearly two minutes—or one and three-fifths lines of the grid on page 676—pass before he strums his first note. These restrictions limit the music but also focus it intensely, pointing away from the artists and towards the tones. We are listening not to Alvear’s rendition of a Werder work; we are listening to six seconds of sound, followed by six seconds of silence, followed by six seconds of sound again. “There is no reason”: this statement at first confounds, and then delights. What more quizzical stance could a composer of a four-thousand-page piece—one that is, undoubtedly, mind-boggling difficult for any performer to execute—take? To push a concept to an extreme, such that its author will likely never witness its conclusion: it is, just like Cage’s eighteen-hour hour realization of Erik Satie’s Vexations, an act of ostensible folly that ultimately opens the ears. “There will be,” Werder dictates. With stück 1998, there was, and is, and will be, for decades to come. stück 1998, seiten 676 bis 683 was recorded on April 1st, 2014 at Estudios MadreSelva, Santiago, Chile. Special thanks to: Manfred Werder, Will Robin, David D. McIntire, Eric Honour, Scott Unrein and Alfonso Pérez.